After questioning the meaning behind his own art, Ethan Hawke had a chance encounter with the elderly Seymour Bernstein, an acclaimed classical pianist in New York who gave up performing publicly decades ago to focus on being a teacher and composer. 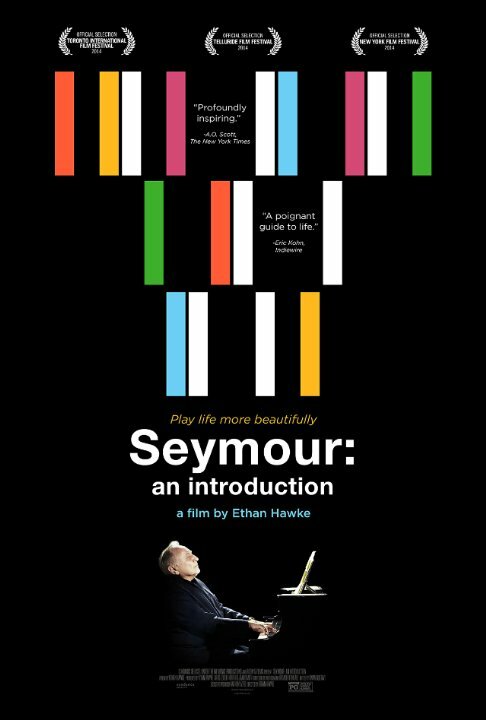 This dinner party meeting came at a crucial moment in Ethan Hawke’s acting career several years ago, inspiring him to direct his first documentary, the beautifully captured portrait Seymour: An Introduction, which opens in limited release today. The two bonded over their shared nervousness and anxiety around performing, which Seymour Bernstein considers to be very much a part of talent and success, and this connection between director and subject transfers over to the audience. Living alone in a single room apartment, and devoting his life to sharing his passion for the universal language of music, Seymour Bernstein makes for a warm and wise subject who serves as our collective mentor throughout the film. Ethan Hawke shows a deft hand behind the camera, and it’s clear that this is a deeply personal project for the actor. These are both artists with plenty of wisdom to share, and that’s exactly what makes this such a special documentary. Done in a conversational style that recalls the equally wonderful Keep On Keepin’ On, Seymour: An Introduction is a very inspiring and often philosophical conversation piece about our desire and need to create art, and how artists should pursue their passion throughout every aspect of their life.